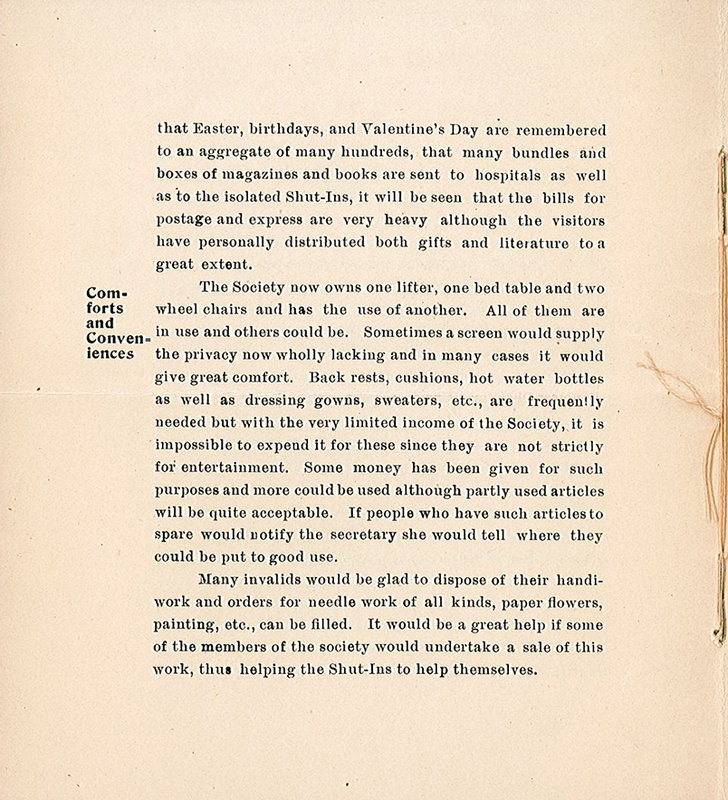 p. 4 "Many invalids would be glad to dispose of their handiwork and orders for needle work of all kinds, paper flowers, painting, etc., can be filled. 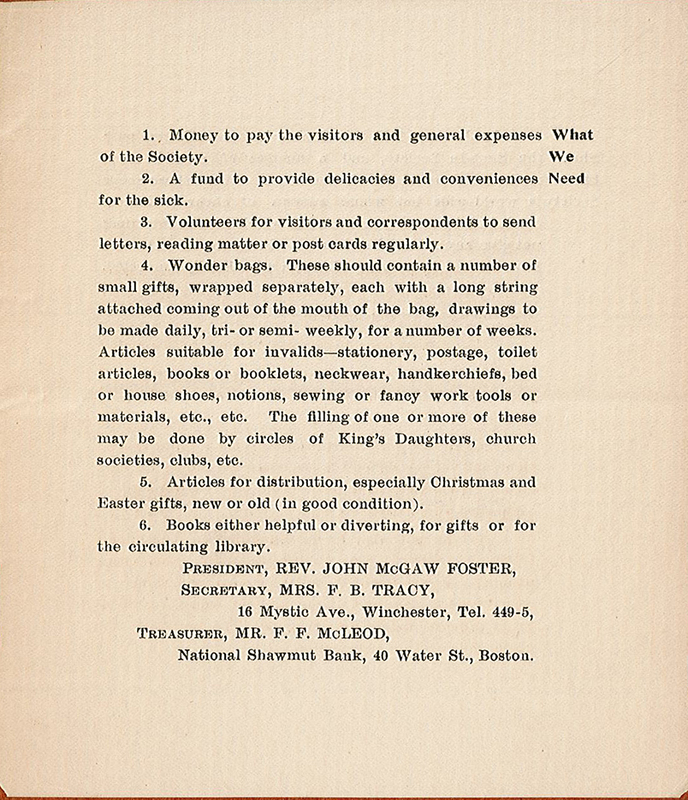 It would be a great help if some of the members of the society would undertake a sale of this work, thus helping the Shut-Ins to help themselves." 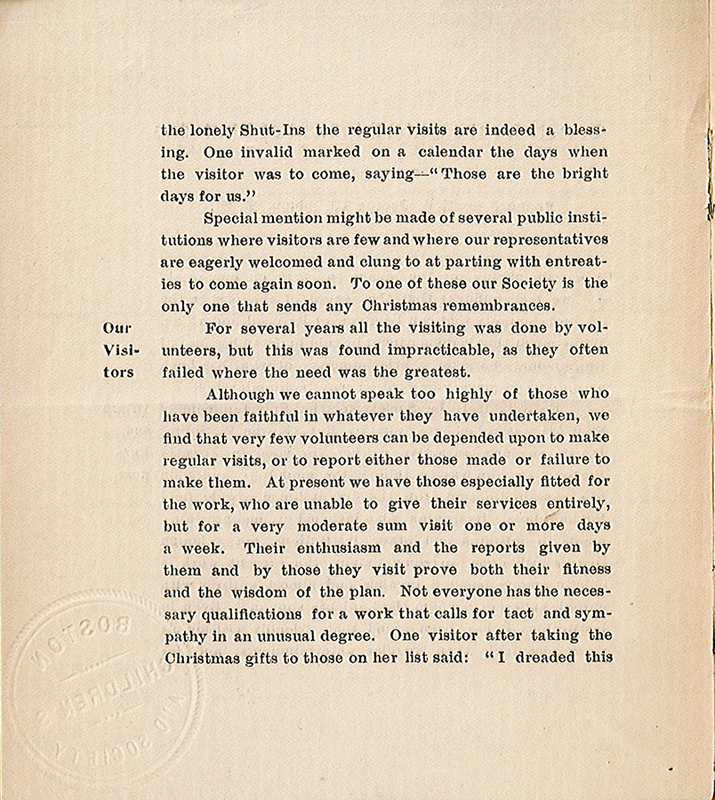 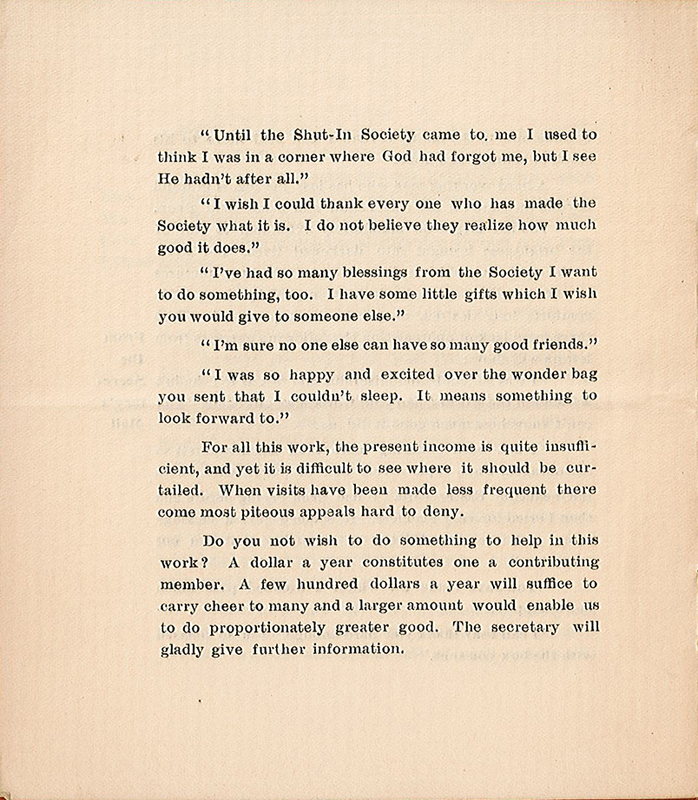 p. 8 "In January, 1907, this Society became affiliated with the Shut-In Society, and a number of invalids were made members of the larger organization, whose scope is world-wide but whose mission of cheer is largely carried on by correspondence, and which as a society does not give any material assistance. 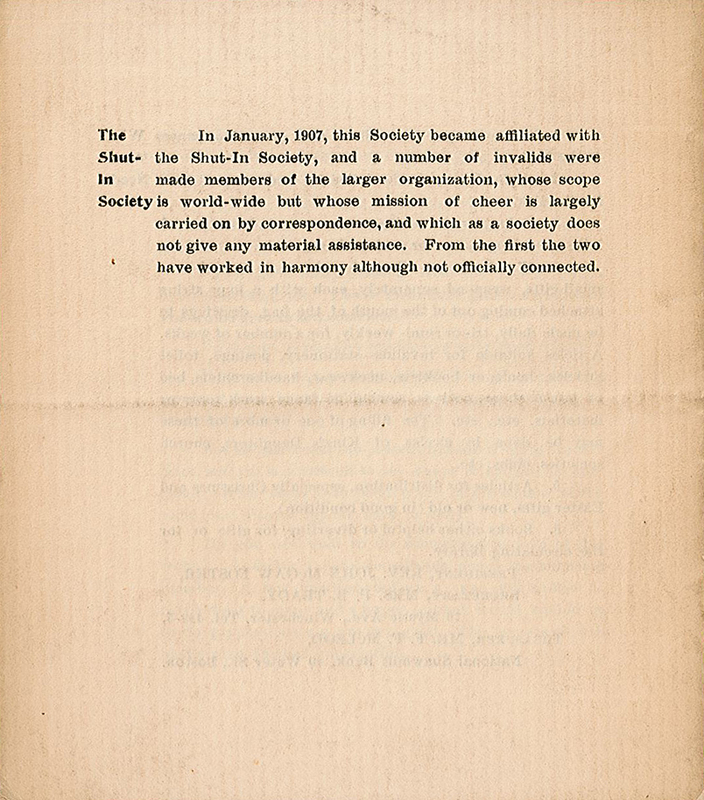 From the first the two have worked in harmony although not officially connected." 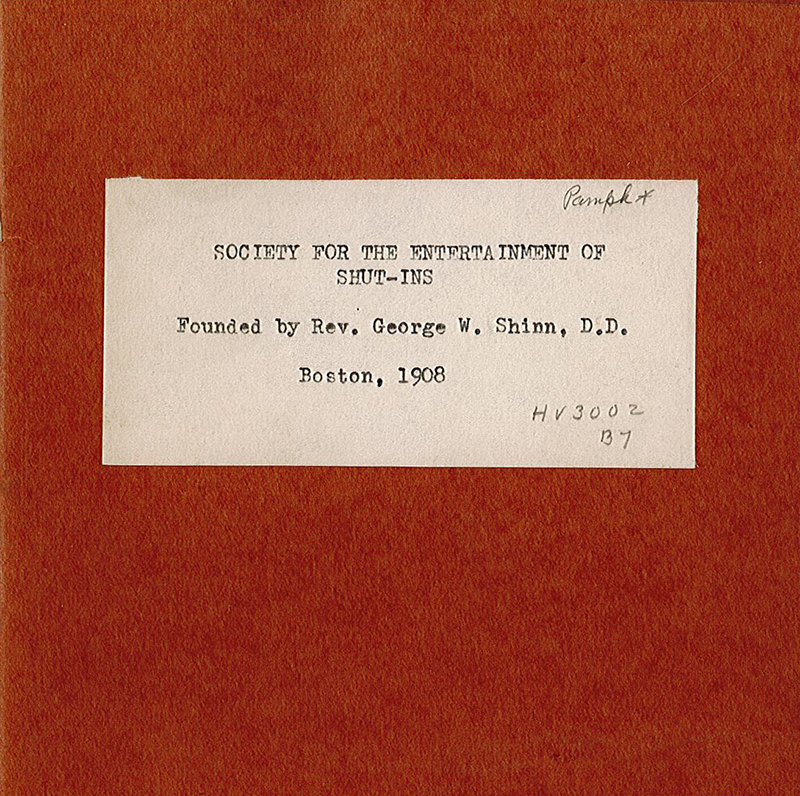 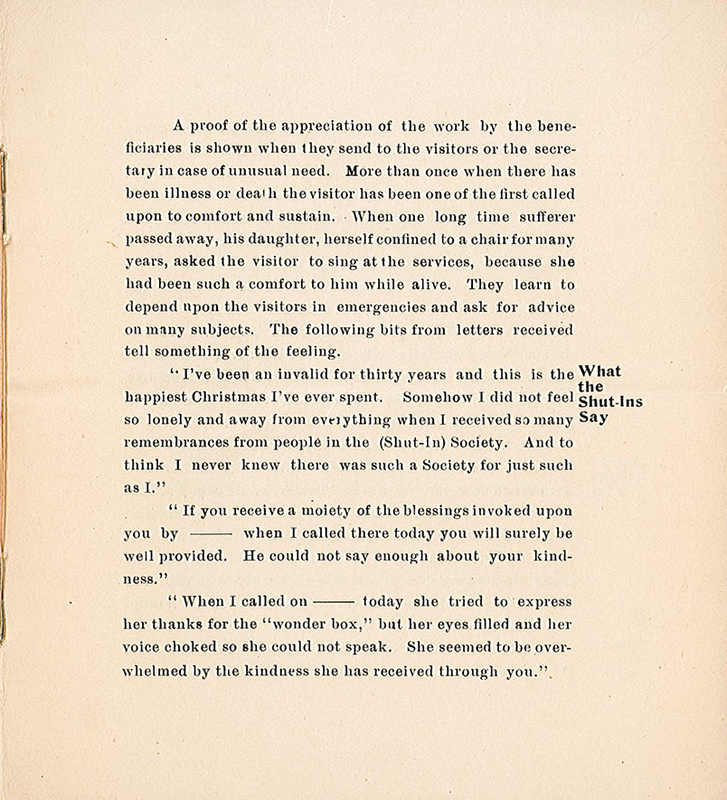 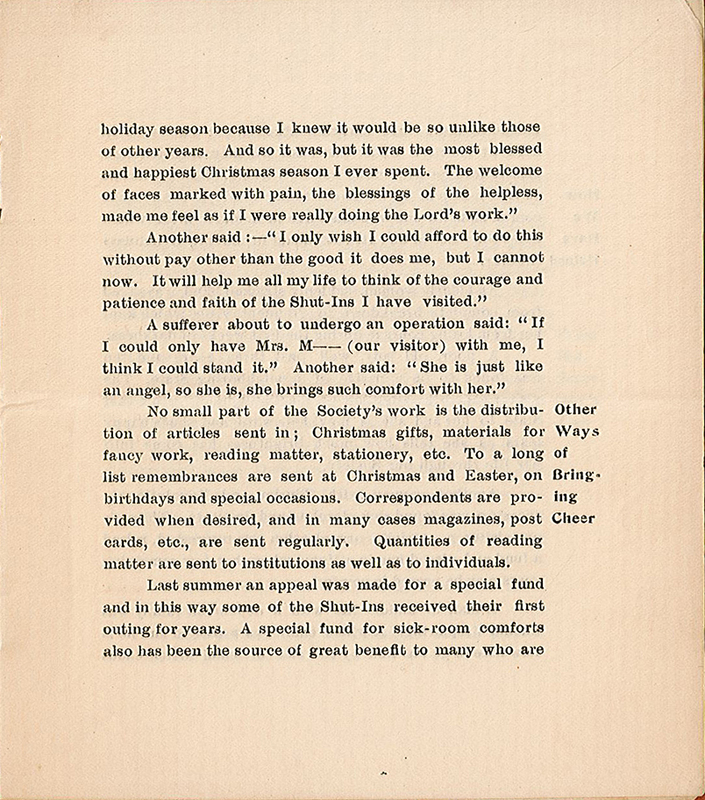 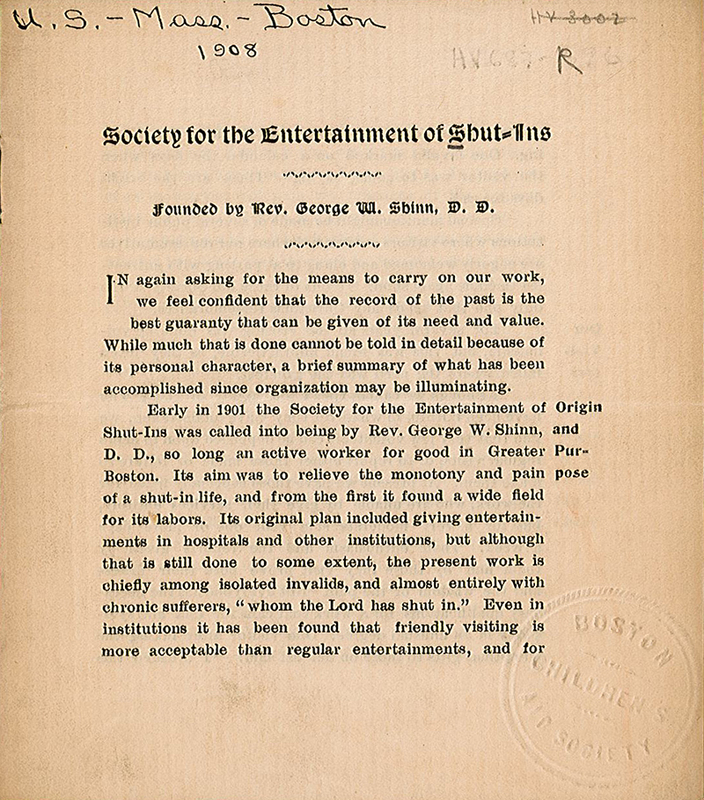 Shinn, George W., “Society for the Entertainment of Shut-ins, 1908 [annual report],” Social Welfare History Image Portal, accessed April 24, 2019, https://images.socialwelfare.library.vcu.edu/items/show/418.